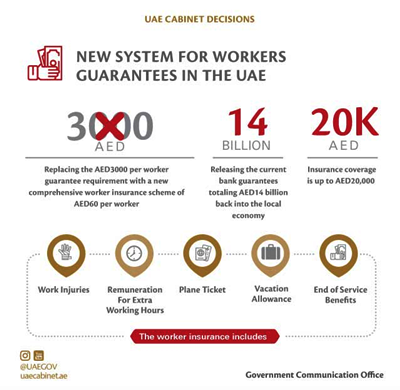 • UAE Cabinet announces the decision to abolish mandatory bank guarantee for labour recruitment and replace it with a low-cost insurance system. 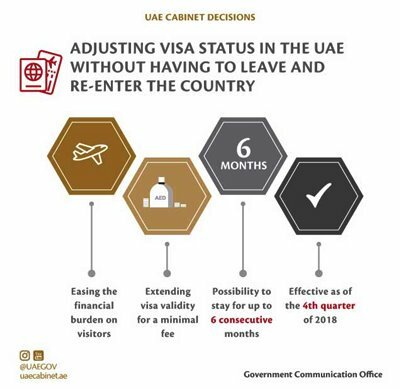 • Cabinet decision grants people overstaying their visa a chance to leave the country voluntarily without a "no entry" stamp on their passport. 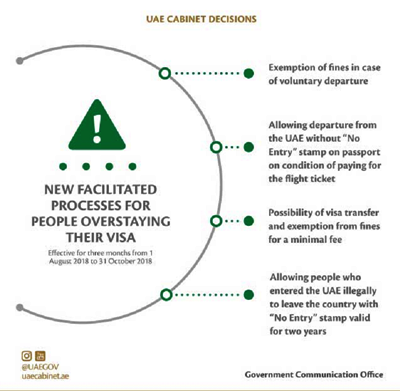 The Cabinet, chaired by His Highness Sheikh Mohammed bin Rashid Al Maktoum, Vice President and Prime Minister of the UAE and Ruler of Dubai, adopted a number of strategic decisions with regards to foreign workers' insurance in the private sector, as well as a legislative package of visa facilitation. 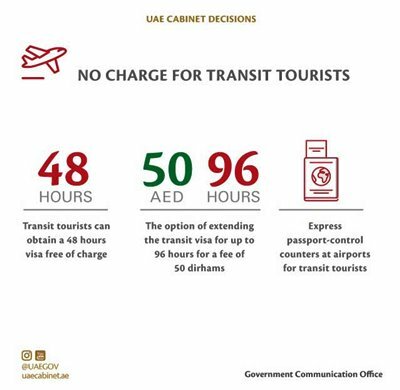 The Cabinet also adopted a number of visa facilitation for visitors, residents, families and people overstaying their visa to cater to a wider segment of the society. The Cabinet approved a new legislative package, including a review of the current residency system to allow a two-year extension of the residency period for the dependents of their parents after finishing their university studies. 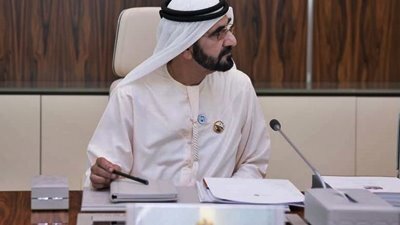 In the same context, the Cabinet adopted the decision to host the headquarters of the Asian Paralympic Committee in the UAE to serve as a unique sports hub in Asia and to provide training courses and workshops for "People of Determination". In the regulatory affairs, the Cabinet approved the amendment of the statutes of the Al Etihad Credit Bureau. It also adopted a draft law on the adoption of the unified final account for the fiscal year 2017 and approved an additional financial plan for the general budget of the Union for the fiscal year 2018. The Cabinet endorsed a number of agreements on the mutual protection of investments between the Government of the UAE and the Government of the Republic of Rwanda, the Government of the Republic of Uganda and the Government of the Republic of Colombia. As well as the endorsement of conventions on the avoidance of double taxation and the prevention of fiscal evasion in respect of taxes on income and capital with the Government of the Kingdom of Saudi Arabia, the Government of the Republic of Rwanda, and the Government of Turkmenistan.